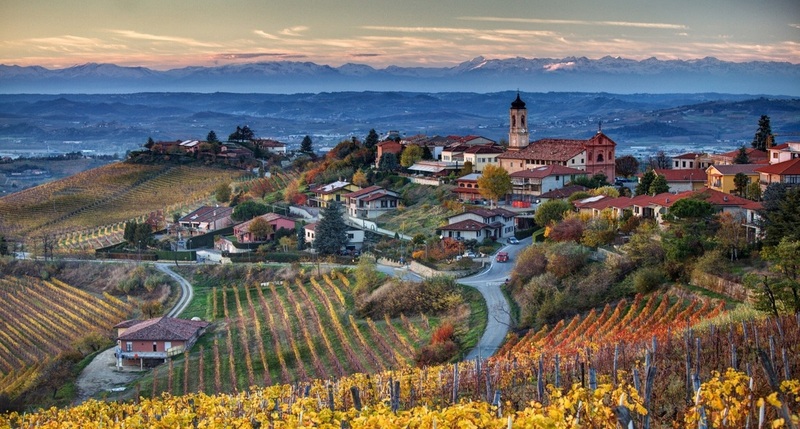 Piemonte - the land of truffles and wine - Barolo, Barbaresco, Nebbiolo, Asti and more. On this ten day tour we spend two nights in Torino (Turin) with its glorious napoleonic architecture, signature chocolate and outstanding shopping. Home of the Winter Olympics in 2006, it is Italy's third largest city. Then we take up residence in a 12th century castle for a week and explore my hidden gems - Madonna della Neve, Alba (Home of the Alba Truffle Festival) Mondovi and the Barolo region - La Morra, Barolo, Serralunga and more where we taste exquisite wines. We go Truffle hunting one day and cook that evening with our bounty! We take in Santuario Di Vicoforte, a marvellous cathedral with the largest unsupported dome in the world. We take a hike one afternoon through the Langhe Hills. We visit The Slow Food University and enjoy rare wines at the Banca Del Vino. We make a day exploring cheeses of the region visiting Bubbio and Roccoverano for its DOC Robbiaolo. And of course we cook with the products of the region each evening back at our stately digs. Thursday September 14 - Welcome to Turin. I meet you at your hotel, the Turin Caselle Airport or Porta Nuova Train Station. We make the short trip into the Moncalieri hills above Turin and settle into Il Piuns bed and breakfast - the former home of the King of Italy’s official Doctor with splendid views over the Turin skyline. After we settle into rooms we venture into the old city for our welcome dinner at Berbel Ristorante in the old city. After a post prandial stroll to work off dinner , we make our way back to the BnB. Friday September 15 – We enjoy a splendid breakfast courtesy of our host Luisa Calvi. 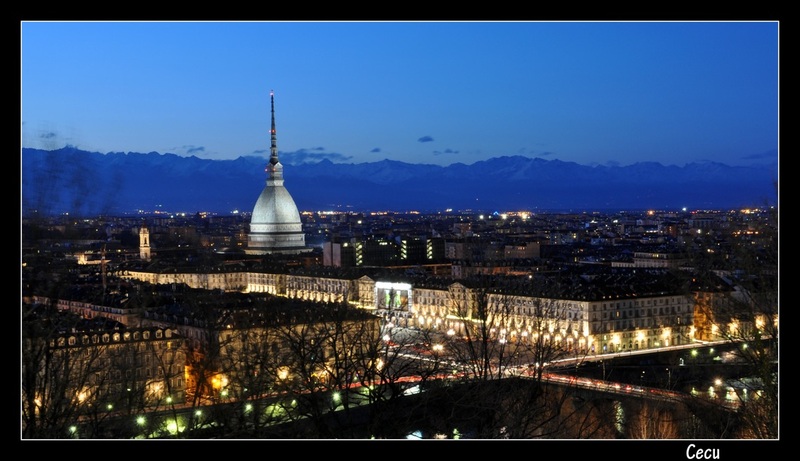 Then I bring you into Turin for a three hour guided walking tour of this beautiful city which includes visits to the main historical highlights of the city. It also includes a chocolate tasting for which Turin is famous. At the conclusion we meet at the glorious Piazza Vittorio Veneto and treat ourselves to an aperitivo. We go back to Il Piuns to rest for a bit, change and then head out to a favorite family restaurant of mine, Pizzeria Vico Equense. Saturday September 16 – After breakfast and packing our van, we make our way to the Lingotto Fiere, site of the Turin Olympics and home of Eataly, one of the great food stores of the world founded by Slow Food. We buy supplies for the next number of days at the Castello. Then it’s a leisurely 1 hour drive on autostrada and then country roads to Castello di Rocca Ciglie. We settle in for 7 nights. Enjoy an amble around the hamlet to orient yourselves while I prepare our first night’s dinner based on our market haul. We are joined by a special guest this evening for dinner. Enjoy the vistas over the Langhe hills as the sun sets. Sunday September 17 – This morning after breakfast and a relaxing morning, we will start with a tutored wine tasting from a learned colleague of mine. Early afternoon we visit Cascina Cerea, a small local agriturismo where they produce their own olive oils, sauces and enjoy a gentle hike in the hills near the castle. If the weather is good we will picnic on our walk. We return to the Castello for the remainder of the day. Those so inclined can help me prepare dinner - I’ll be making some fresh pasta.where we will enjoy some grill action after some of our homemade pasta. Tuesday September 19 – Education Day! It’s up a little earlier than we normally have to to make our way to Roddi where we meet Gianni, the owner of the University for Truffle Hunting Dogs. After a what we hope is a successful truffle hunt and some bartering for some treasure, we will visit his family truffle museum for a taste of Truffles in all its forms. 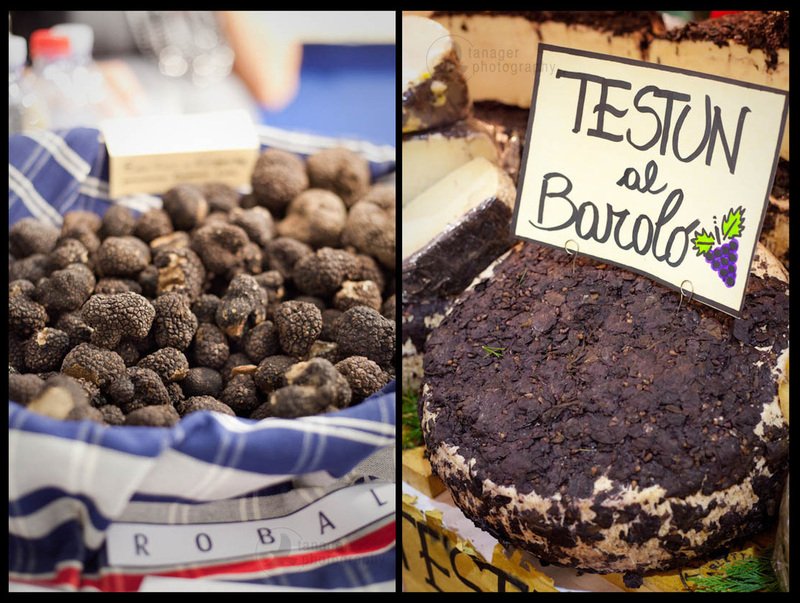 We’ll take a quick walk through Alba, the truffle capital of the world. Mid afternoon we make our way to The Slow Food University and the Banca Del Vino for a tour and tasting of rare wines and purchase some for dinner. Then it’s back to the castle to relax and enjoy a traditional truffle dinner of tajarin with truffles, veal tartare with truffles and some rich red wines! Wednesday September 20 – Our special guest from earlier in the week has arranged a special VIP tour and tasting of Pecchinino, one of the most prestigious wineries in the region. 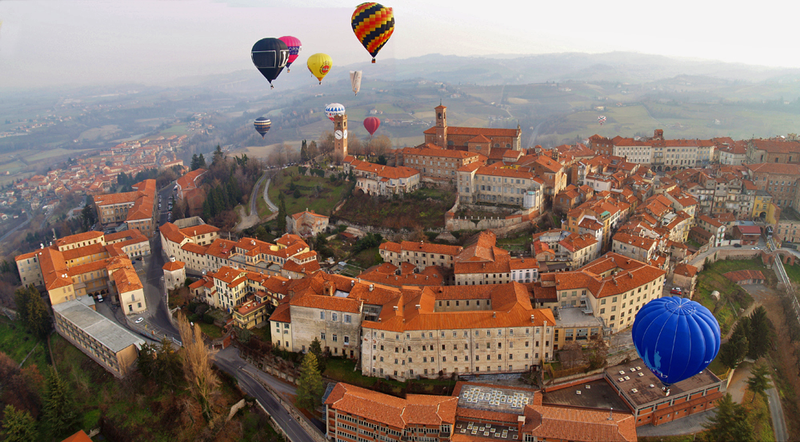 We also visit the town of Barolo to visit the castle and the corkscrew museum, and if we are lucky, find some local porcini mushrooms that I have found in the past there. Then we head WAY WAY up to the magical town of La Morra for a view across the Barolo region and an early evening pizza at Per Bacco - a famous pizza restaurant. We drive back to the castle for some gelato and cordials to wind up a full day. Thursday September 21 – Another site seeing day. We drive to Vicoforte to visit the stunning Sanctuario Di Vicoforte, a church with the world’s largest unsupported dome, then we hop over to Mondovi, for a lovely lunch at Il ViaVai and ride on the funicular to the old town and a pleasant stroll through the city. We make our way back to the castle to change and then head out to dinner at Le Piemontesime, a local restaurant for a luxurious dinner. Friday September 22 – On our last day I will drive to the headquarters of Slow Food in Bra and visit the market for goodies. Then we may lunch with the Secretary General of Slow Food my long time colleague Paolo Di Croce. We’ll make our way back to Rocca Ciglie and then I’ll spend the afternoon getting a final feast prepared - perhaps you want to join in as well. Dinner in the Castle dining room.